October 7, 1923 - October 3, 2018: Lovada loved Jesus and shared her love, faith, bible songs and prayer every day for her family. 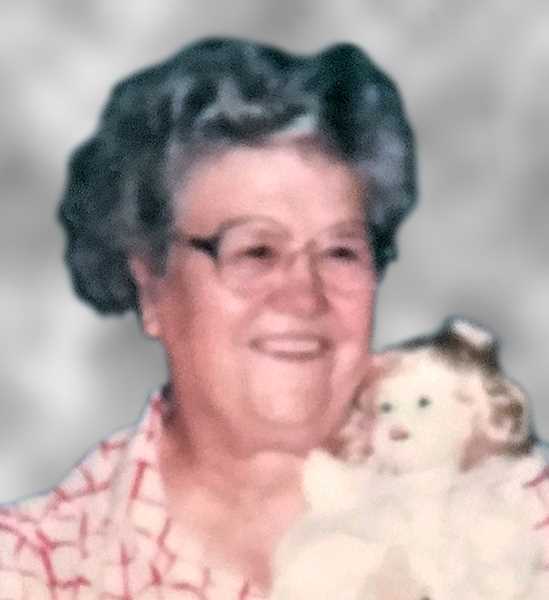 Lovada M. Dix passed from this earthly home to her heavenly home on October 3, 2018 in Meridian Idaho. She was united with her husband Louis Dix and her parents Kelsey McGee and Laura McGee. She is survived by her sons and their wives, Louis Dix Jr., and Kathi, Roger Dix and Huabin and Jerry Dix and Patty. She has eight grandchildren, 19 great-grandchildren and five great-great-grandchildren. Lovada has 11 brothers and sisters. She was born in Arkansas moving to Oregon to work for Kaiser ship yards as a "Rosie the Riveter". She had a wonderful life full of love and many adventures. She loved everyone who came into her life. Especially her growing family. She loved Jesus and shared her love, faith, bible songs and prayer every day for her family. We will all miss her greatly, but find comfort knowing she is with her Lord Jesus. Services were held at Hustad Funeral home in St. Johns, Oregon with a private interment.